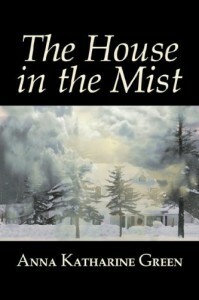 I was browsing the free Amazon books looking for a book that would fit in the 'mist November' challenge over on the ff-leesclub and so I came to this collection of three short stories of which The House in the Mist is the longest. Over a hundred years old the stories are indeed a little bit outdated, but I've read them with pleasure. They were entertaining to read and kept me busy for some time. The title stories features a revenge plot that might have even worked in the setting of a longer story. I was quite surprised by how much I enjoyed reading them and would read another one of her books if I came across them.